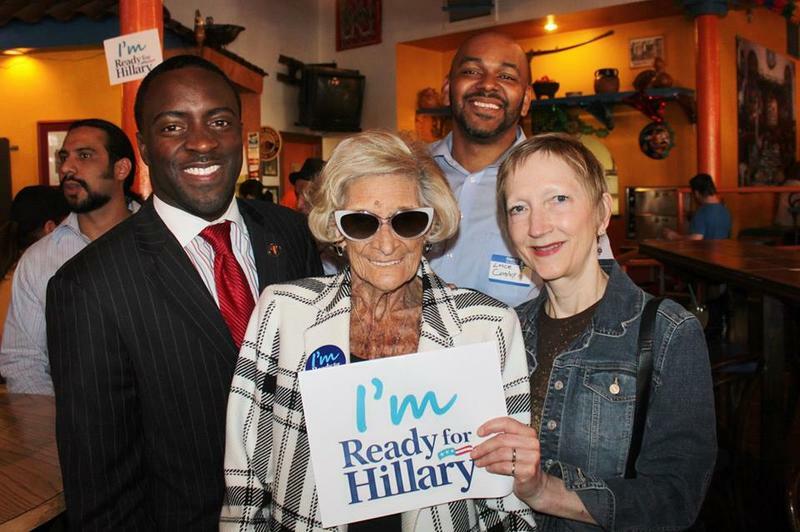 Dutch Newman (center) attended an event in 2014 in support of Hillary Clinton's presidential bid. Hila “Dutch” Bucher Newman, a leading figure in Missouri Democratic politics for decades, has died. She was 95. The morning after Hillary Clinton officially became the first woman to head a major party ticket, the news of Newman’s death was announced to the Missouri delegation at the Democratic National Convention Wednesday. Newman would have reveled in Clinton's moment. She wrote in a Facebook post in 2014, "I am so excited for a Presidential run by Hillary Clinton, I can hardly stand it!" This year's DNC was the first time since 1968 she missed a national convention. Newman made a mark in an era when politics was almost exclusively a boys’ club. She got her start in 1944 when she was asked to help a candidate running for Jackson County assessor. Newman worked at her father’s bar in Westport and picked up votes for the candidate both there and campaigning in the neighborhood. The candidate won, launching Newman’s lifelong work with local Democrats. Her resume includes numerous offices in the Missouri state and local Democratic party. She also coordinated the Kansas City campaign for Hubert Humphrey in 1968. Kansas City Councilwoman Jolie Justus first met Newman and got her backing when she ran for Missouri Senate in 2006. Justus says an endorsement from Newman was all some voters needed to make up their minds. "She obviously had a network of folks who listened to her advice and support, and they would always take a yard sign from Dutch no matter who the candidate was." Newman’s reputation reached beyond the Show-Me State. She often got calls from presidents and presidential candidates during election years. Al Gore once famously stopped a motorcade in Kansas City to hug Newman. Besides her work in politics, Newman worked tirelessly in her local community. She came from a family with ties to Kansas City and even more specifically the Westport neighborhood that stretched back to the 1800s. She was a member of many local groups and helped found the Volker Neighborhood Homes association. Kansas City Mayor Charlie Wheeler honored Newman for her dedication to improving the quality of life in the city, proclaiming October 5, 1974 “Dutch Newman Day.” In 2006, a stretch of Westport Road was named the Honorary Dutch Newman Drive. “Dutch was like a second mother to me. She was warm and loving -- and at the same time a tenacious and unrelenting institution of the Missouri Democratic party. There’ll never be another one like her,” wrote U.S. Sen. Claire McCaskill in a statement released soon after Newman's death. Newman’s influence extended to the latest generation of Democratic party loyalists. Rachel Gonzalez of Independence, at 17 the youngest delegate at this year’s DNC, says she first met Newman last year. “I was a sixteen-year old girl and I was kind of freaking out a bit. I went up to her and she said, ‘You have to join the Fifth District Democratic Women,’” Gonzalez says. “She was a pillar for so long, just so integral to the rise of women in Missouri politics like Claire McCaskill, Karen McCarthy, and Annette Morgan. She did the hard work of politics: fundraising, knocking on doors, sending out mailers,” Kraske says. Newman's funeral is expected to be next Wednesday, the day after primary elections. U.S. Senator Claire McCaskill has battled through a political world dominated by men to get where she is today. She talks about that journey in her memoir, Plenty Ladylike. 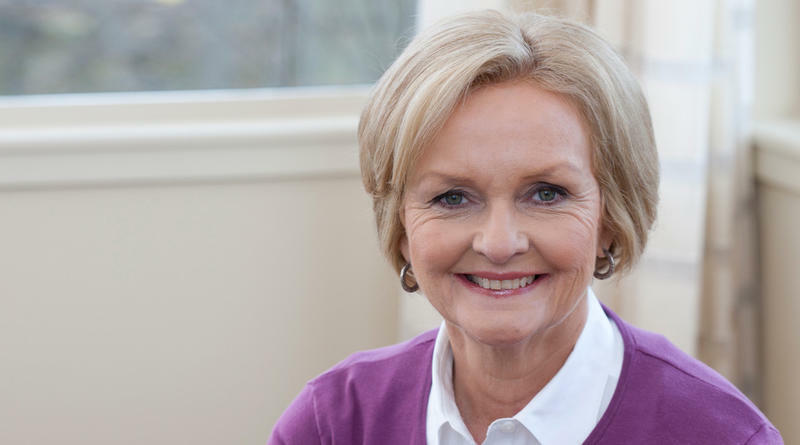 Senator McCaskill will speak at 2 p.m. Sunday, August 16 at Unity Temple on the Plaza. For admission information, visit www.rainydaybooks.com. U.S. Sen. Claire McCaskill, a Missouri Democrat, announced Monday she was diagnosed with breast cancer. She made the announcement on Twitter and linked to a short post on her Tumblr page. New federal legislation aimed at combating the nation’s opioid addiction crisis has a provision tailored specifically for Missouri, which is the only state without a database designed to prevent pill shopping among multiple dispensers. The language, inserted by U.S. Sen. Claire McCaskill, a Missouri Democrat, makes counties and municipalities eligible for federal funds that help establish a prescription drug monitoring program. Her amendment applies only to states without a prescription drug monitoring database.